The Greens in the European Parliament have blocked an amendment calling for the ban of Monsanto’s controversial weedkiller, as part of a broader political deal with the centre-right European People’s Party (EPP) to back a report calling for a rethink of the EU’s pesticide approval system. The European Parliament approved on Wednesday (16 January) a list of recommendations calling for a rethink of the EU authorisation procedure for pesticides. 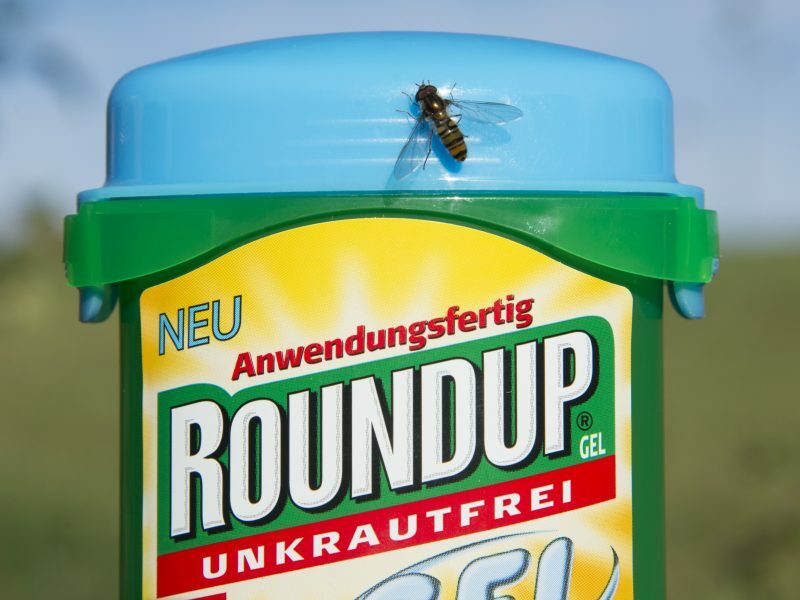 The recommendations were part of the final conclusions of a special parliamentary committee that was set up last year in the wake of the EU’s controversial decision to re-authorise glyphosate, the weedkiller manufactured by Monsanto. Lawmakers approved by an overwhelming majority the non-binding report drafted by centre-right MEP Norbert Lins (EPP) and Green MEP Bart Staes, with 526 votes in favour, 66 against and 72 abstentions. Only four out of the 152 amendments filed were successfully passed, following a political agreement between the two co-rapporteurs and their political parties, the European People’s party (EPP) and the Greens. The deal ensured that amendments tabled by the conservative (ECR) and leftist (GUE/NGL) groups were defeated. The unusual political agreement between the Greens and EPP led to a rejection of an amendment filed by the GUE/NGL group, which explicitly called for “an immediate EU-wide ban on the production, sale and use of glyphosate and all plant protection products containing glyphosate”. Speaking at a press conference after the vote, Staes confirmed that his group abstained on the motion to ban pesticides like glyphosate and neonicotinoids. “We would like to ban them [glyphosate and neonicotinoids] but we abstained first of all because there was an agreement between the Greens and the EPP that we would not support amendments from GUE on the one hand, and on the other hand that EPP would not to support ECR amendments,” Staes said. The main goal was to keep the report approved by the special committee on pesticides and defend it from any attack coming from MEPs in the plenary. Staes also stressed that the request to ban glyphosate would have exceeded the mandate of the committee, and had no chance of materialising anyway. 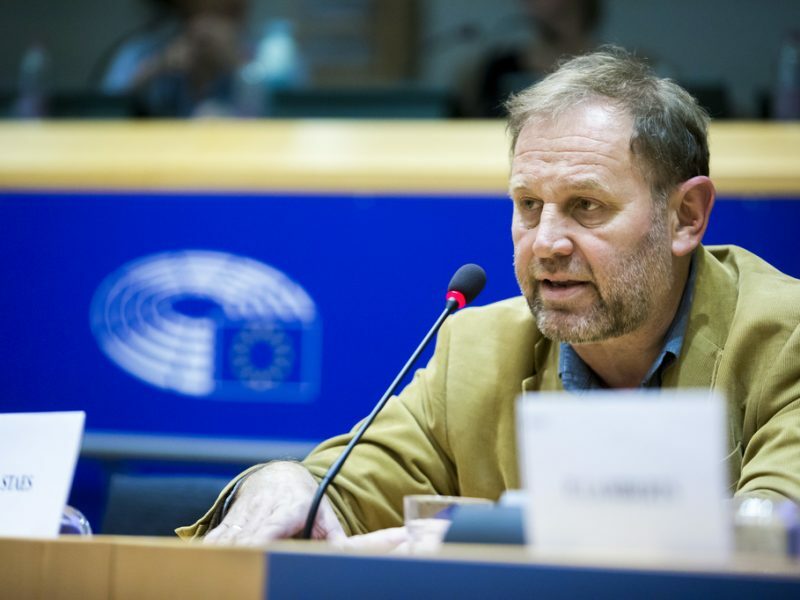 Greens did not back the call to ban glyphosate because out of the mandate of pesticide special committee, pledging to battle for it at the right time and moment, Greens co-rapporteur on the final report Bart Staes explained in an interview with EURACTIV.com. The PEST Special Committee was set up in February last year following the Monsanto Papers scandal and the heated debate on the five-year renewal of the glyphosate weedkiller. Its mandate was to examine the current authorisation scheme for pesticides in general, without focusing on glyphosate or any pesticide in particular. Although the herbicide was the elephant in the room, the only mention of glyphosate in the text approved by the Parliament plenary was a call for the European Commission’s scientific advisors to initiate a systematic review of all available studies concerning the carcinogenicity of the active substance. 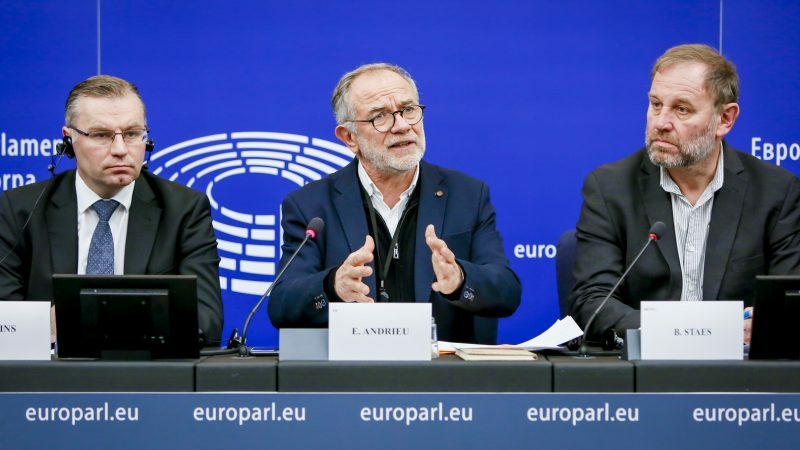 Eric Andrieu, a French socialist MEP who chaired the special committee, said the report urges the Commission “to immediately re-evaluate the authorisation of glyphosate”. Greens were more cautious, saying that the committee could not resolve the controversy around the carcinogenicity of glyphosate and for that reason had asked only for a systematic review of all relevant science. “The next round of decisions on whether to ban glyphosate from our fields will be in 2022,” the Greens said in a statement. The debate over glyphosate has heated up again in France after an administrative tribunal in Lyon banned “the sale, distribution and use of Roundup Pro 360”, which contains glyphosate. The European food safety authority (EFSA) welcomed the report adopted by Parliament, saying it was pleased that it was able to contribute its experience and knowledge to the PEST Committee’s work over the last year. 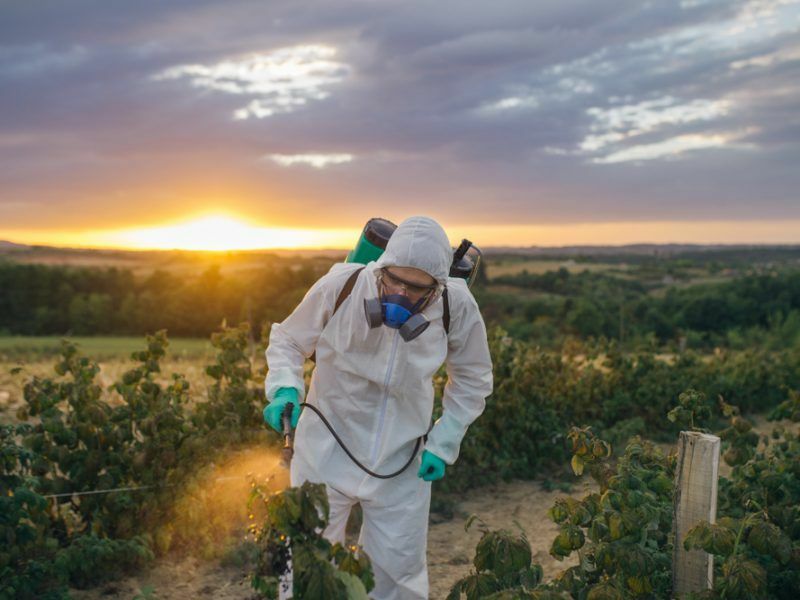 “EFSA strongly supports any initiative to broaden understanding of its work and the challenges that it and other actors face in relation to the assessment of pesticides in the EU,” an EFSA spokesperson said. Some provisions included in the final text of the report are intended to strengthen EFSA’s role. This includes strengthening its mandate to align it with the European medicine agency (EMA), increasing the agency’s human and financial resources, and adopting a fast-track approval authorisation mechanism for low-risk pesticides, and more room for post-market evaluations. During the debate before the vote on Monday, EU Health Commissioner Vytenis Andriukaitis said the EU executive will take into account these suggestions in its reform of the Regulatory Fitness and Performance Programme (REFIT) to evaluate Europe’s pesticide legislation, that includes both the Regulation on Plant Protection Products (PPPs) and the Regulation on Pesticide Residues. Two amendments approved by the plenary were about the deadlines for evaluation of PPPs and problems related to the mutual recognition principle, a topic dear to the heart of Andriukaitis who told EU farm ministers in November that the reinforced use of mutual recognition would improve farmers’ access to suitable plant protection products. So much for giving a damn about cancer victims.